We are all talking about the impact that Artificial Intelligence could have on recruitment but this issue is so fundamental people need nothing more than "spell checker" which has been around for years. Is this something we just need to ignore using the excuse that the current generation text and do not invest in writing the way previous generations have? I don't think that will work but is it too late to fix this? Most jobseekers in the UK make spelling mistakes in their CV, having problems with words such as ‘experience’ and ‘professional’, according to research from jobs site Adzuna. 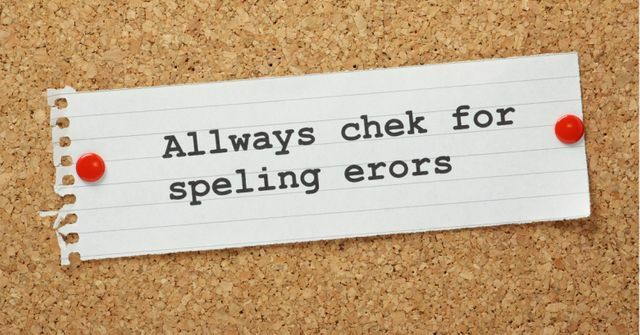 The research indicated that nine out of 10 CVs contain spelling errors or typos. An analysis of 20,000 CVs recently submitted to Adzuna found that almost two out of three had five or more errors, such as adding unnecessary apostrophes.